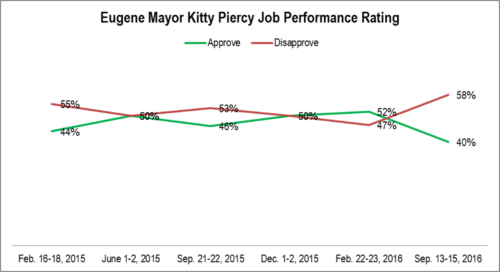 Mayor Piercy’s approval rating has taken a sharp turn for the worse since where it was early in the year. This drop could be driven by a number of issues. Among the most likely are problems with the new city hall and dissatisfaction with the city’s homeless policy. 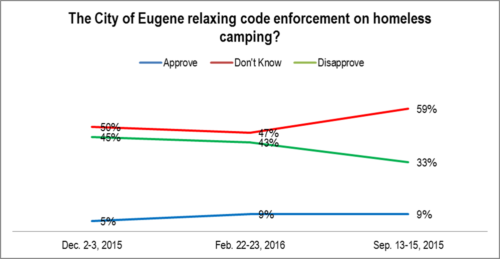 METHODOLOGY: 200 live telephone interviews of likely City of Eugene 2016 General election voters were conducted on each of February 16-18, June 1-2, September 21-22 and December 1-2, 2015 and February 22-23 and September 13-15, 2016. The margin of error at each sample median is 7%. As usual, excellent and good responses are grouped as approve and fair and poor responses are grouped as disapprove. Experience with the measure across many local executive positions has found it is a good predictor of electoral support. 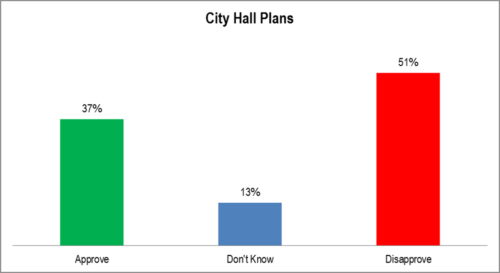 Should Eugene Build a New City Hall or Refurbish and Old Building? Eugene voters strongly prefer refurbishing to building. 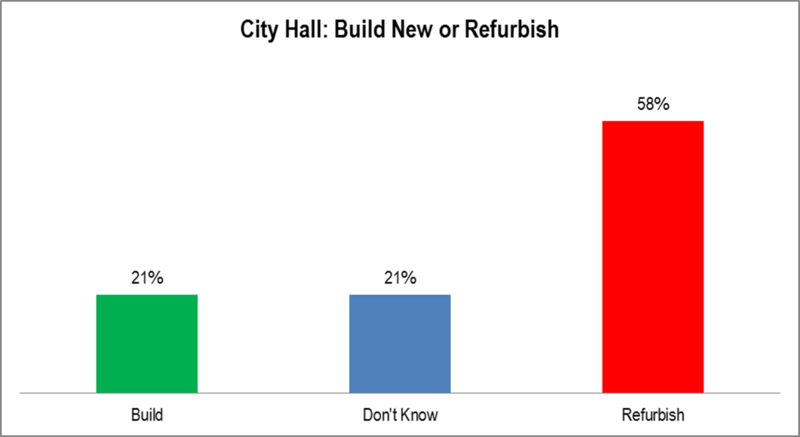 This is a common survey result since refurbishing is seen as less expensive than building. A better interpretation, since no immediate refurbishing plan is out there, is that Eugeneans are very, very cost sensitive. Considering the continual cost overruns and planning delays, who can blame them. QUESTION: Should the City of Eugene build a new city hall or buy and refurbish an existing building? IF BUILD/BUY: Is that strongly or somewhat? METHODOLOGY: 200 live telephone interviews of likely City of Eugene 2016 General election voters were conducted September 13-15, 2016. The margin of error at the sample median is 7%. Category: Eugene and Lane County, Political | Comments Off on Should Eugene Build a New City Hall or Refurbish and Old Building? 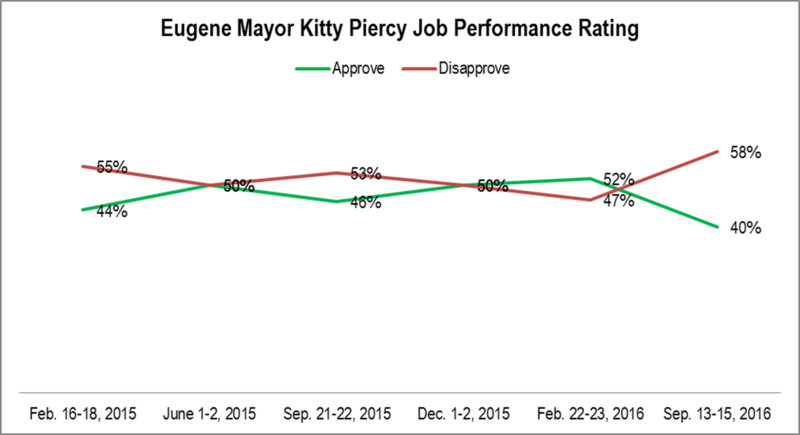 Eugene voters disapprove of the City of Eugene’s plans for a new city hall by a solid margin. This is probably due to the problems with cost and planning that have been ongoing for a while. QUESTION: Do you approve or disapprove of the City of Eugene’s plans for a new city hall? IF APPROVE/DISAPPROVE: Is that strongly or somewhat? IF DON’T KNOW: Which way do you lean? METHODOLOGY: 200 live telephone interviews of likely City of Eugene 2016 General election voters were conducted each of September 13-15, 2016. The margin of error at the sample median is 7%. The attitude toward relaxing homeless camping enforcement has turned sharply negative. The shift could be a seasonal effect – people are more in favor during the winter than the summer. However, it was still in net negative terrain over the winter. 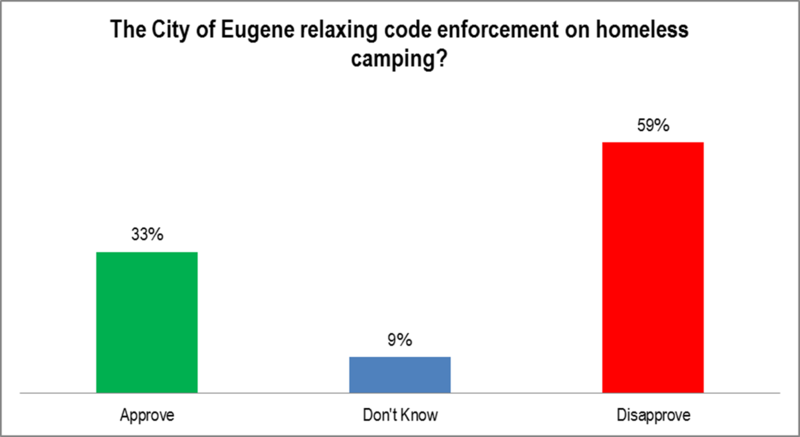 QUESTION: Do you approve or disapprove of the City of Eugene relaxing code enforcement on homeless camping? IF APPROVE/DISAPPROVE: Is that strongly or somewhat? IF DON’T KNOW: Which way do you lean? METHODOLOGY: 200 live telephone interviews of likely City of Eugene 2016 General election voters were conducted each of December 2-3, 2015, February 22-23, 2016, and September 13-15, 2016. The margin of error at the sample median is 7%. 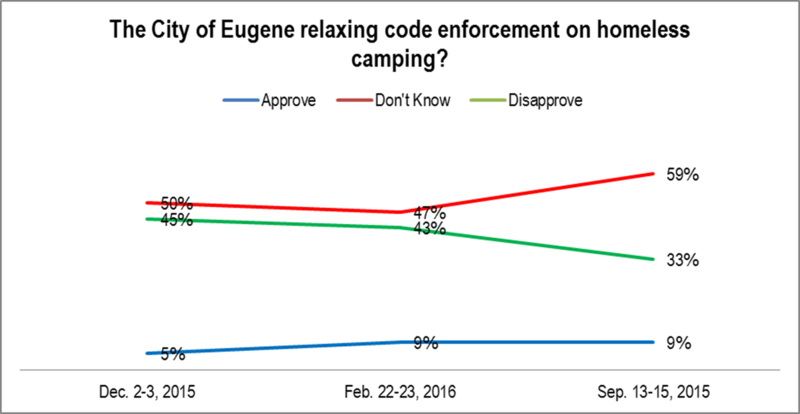 Eugeneans sharply disapprove of relaxed enforcement. Eugeneans sharply disapprove of the Internet fee. 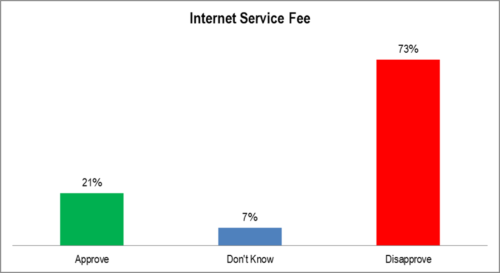 QUESTION: Do you approve or disapprove of a fee for Comcast Internet service averaging $3.15 per household per month for the City of Eugene’s general fund to be used at the discretion of the City Council? IF APPROVE/DISAPPROVE: Is that strongly or somewhat? IF DON’T KNOW: Which way do you lean? N.B. The wording is as close as possible to the Register-Guard article.